It’s Heritage Week in Prince Edward County! Here’s how to step back in time for a week’s worth of special events celebrating the unique cultural heritage of The County. Kate, Maggie and Leah Fox, who grew up in Consecon, gained infamy for their alleged ability to speak with the dead. This year’s theme is Spirits of Our Past, a cheeky nod not only to actual spirits, but The County’s spirited wine, beer and craft brewing scene. To sample the spookiest elements of our past, grab a $10 ticket to the Feb. 16 Paranormal Show, which honours the Fox Sisters of Consecon. 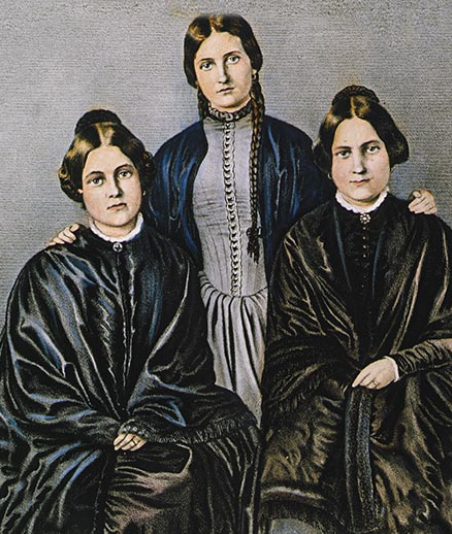 In the mid-1800s, Maggie, Kate and Leah gained a legendary reputation – and spawned a religious movement – for their supposed ability to speak with the dead. Parapsychologist Scott McLellan promises the same goose bump raising wonders at his show, which incorporates a séance. There will also be three mediums set up in the VIP area, for after show tarot and crystal ball readings. 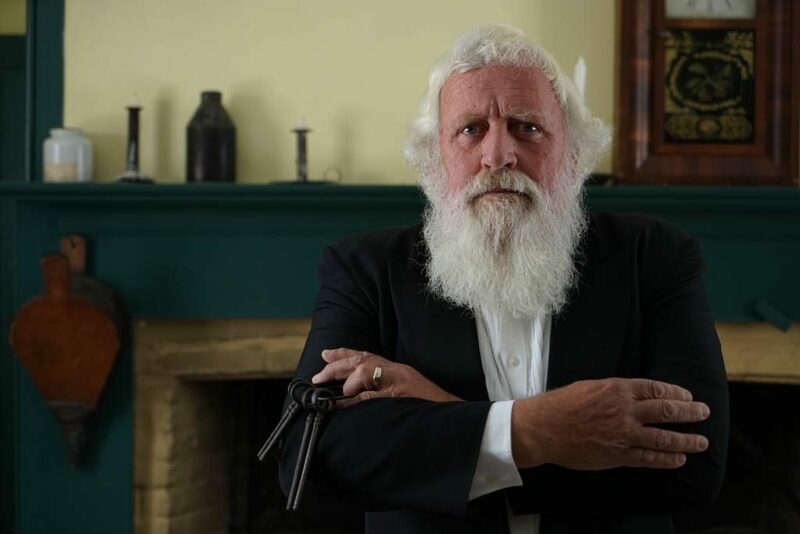 Or stop in at the Wellington library on Feb. 22, for a “spirited” Celebrating Spiritualism conversation with Stan McMullin, whose book on the history of séances illustrates why Victorian-era Canadians were so obsessed with the spiritual. With cocktails from Kinsip House of Fine Spirits! Relieve the more recent past with a comedy show by Taste That!, The County’s artisanal improv troupe. | Courtesy Taste That! By Chadsey’s Cairns got its name from the white stone pillars built by Ira Chadsey, who believed they would help him see his way back from the after life, when he’d been reincarnated as a horse. This and other stories of County characters are part of a half-day heritage wine tour featuring Black Prince Winery, The Grange of Prince Edward, Karlo Estates and Kinsip House of Fine Spirits. Takes place Feb. 16/17 and 23/24. The County’s artisanal improv group, Taste That!, takes the stage for “Flashbacks,” riffing on County characters from our more recent past during our performances over the Feb. 16-17 weekend. A long stretch without paying their servants inspired the Escape Room at Macaulay House. Players help a servant find hidden treasures, ostensibly to help cover lost wages. The man who gave Picton its name was a wealthy land baron, but he wasn’t always savvy when it came to his fortune. Help Rev. William Macaulay’s servants get paid at a new Escape Room inside Macaulay House. Daily except Tuesday and Wednesday. The Public Library encourages kids to use quills, ink and parchment to write a letter to a spirited County character during children’s after school programming on Feb. 19. In 2017, as part of the country’s 150th celebrations, a former icebreaker began an epic coast-to-coast journey, carrying passengers from Toronto to the Northwest Passage, brilliantly showing us all that makes Canada great along the way. On Feb. 22, See the documentary about the voyage, whose first stop was right here in Picton, at the Making Waves Film Festival. Bring your oldest culinary cookbook treasures for appraisal by Liz Driver, one of Canada’s foremost food historians. If the provenance of what appears at your dinner table is a little mysterious, bring the cookbook in question to Liz Driver, one of Canada’s foremost food historians, who literally wrote the book on Canadian cookbooks. 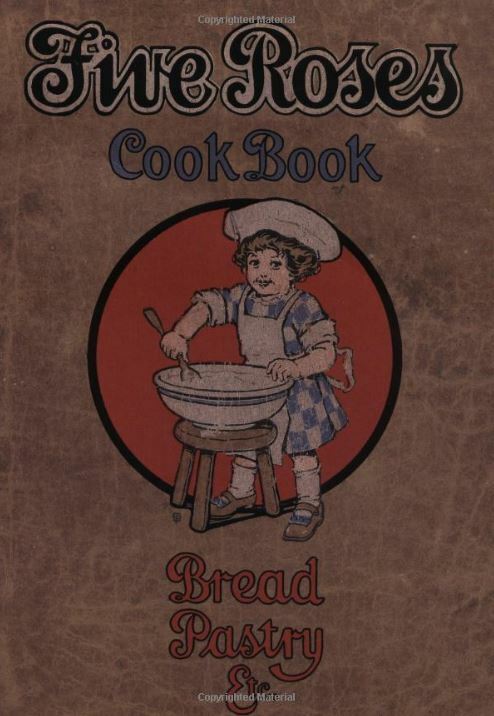 On Feb. 16 and 17, she’s happy to appraise a pamphlet, textbook, spiral-bound cookbook or pricier tomes, Antiques Roadshow Style, at this free event at The Grange of Prince Edward. Come with your cookbook, stay for the heart-roasted griddle cakes! The legend of the Avro Arrow speaks to a time when Canada was on the cutting edge of military aviation greatness. And just like that, the technology took a turn and the hugely expensive planes – plus all of their blueprints – were tossed. All that remained were rumours of Arrows lost to test runs over Lake Ontario – until this summer, when a group of dedicated enthusiasts managed to locate a model right here in The County. John Burzynski will give two talks on Feb. 17 about Raising the Arrow. View one of the country’s greatest collections of WWI memorabilia at the Marilyn Adams Genealogical Research Centre during an open house on Feb. 19, featuring WWI Victory Bonds and the marketing materials right here in The County to raise wartime funds. 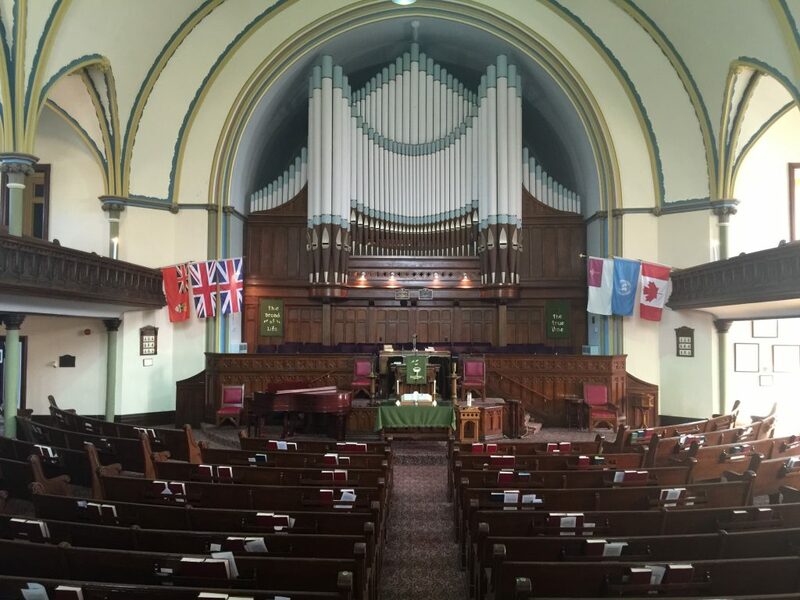 Picton United Church has a nice set of pipes. No joke – the pipe organ there takes up an entire wall. On Feb. 17, hear it flex its muscles during an unconventional organ concert, featuring organist Murray Baer playing tunes not normally heard in church. Close the week on Feb. 23 with a Musical Revue, featuring Indigenous musicians from Tyendinaga. Singing styles include traditional, folk and Broadway. For tickets, dates, times and other information, visit flashbackfebruary.com.